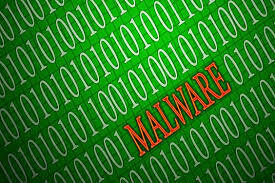 HomeBlogWhat a Malware Infection Can Do to Your Website’s SEO. What a Malware Infection Can Do to Your Website’s SEO. Most of us have encountered the red flags raised by Google, warning us that the website we’re about to load contains harmful malware. This is something we don’t just encounter from sketchy websites  malware can also infect legitimate business and industry sites to steal sensitive information or to spread the infection to other computers. Google’s Safe Browsing feature blacklists websites that can potentially harm users’ computers due to malware. For website owners and online businesses, some of the negative consequences of being blacklisted are fairly obvious. For instance, customers who see Google’s warning will most likely avoid your site, reducing traffic and losing potential sales. This can also lead to loss of customer trust, despite all your efforts to build a good reputation. Getting blacklisted can also reduce page rankings, which may take weeks and even months to recover. What makes a website vulnerable to malware? The usual pitfalls involves failing to secure the server and not installing the latest software updates. The way web pages are coded can also leave them open to threats. Features that raise interactivity on a site, such as public file uploads, user comment fields, and integration with social networking sites can further increase the risk of unauthorized access, particularly if they aren’t properly implemented. If your website has been blacklisted, you can begin fixing the problem by running a scan using anti-malware tools. These tools can help you identify the extent of the damage and remove any malicious programs. You may also want to scan your computer in case malware that reached your site originated from there. After the clean up, make sure to change your website password. Finally, send Google a report showing that you have done your part in fixing the problem, and request for website review.